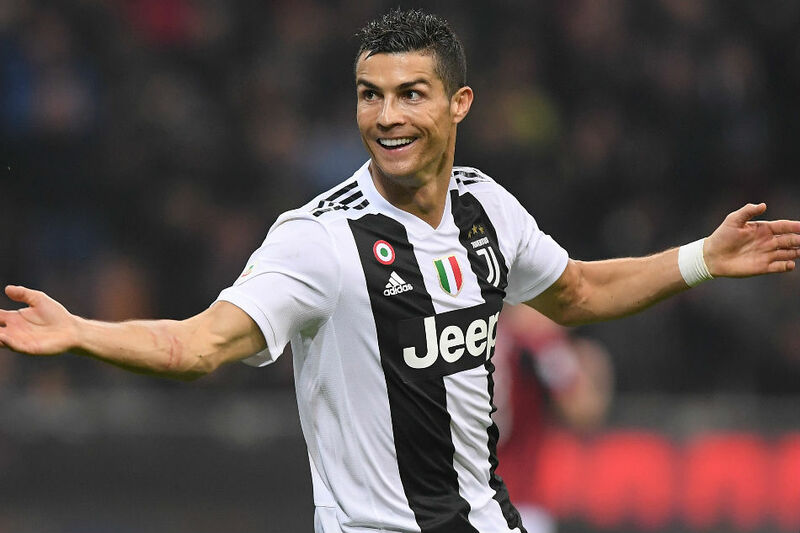 Cristiano Ronaldo gets back to business for Italian champions Juventus against SPAL on Saturday after missing Portugal's qualification for the Nations League semi-finals amid reports he has been snubbed for the final three in the Ballon d'Or award. The 33-year-old Ronaldo has won the prestigious Ballon d'Or five times but could be excluded from the top three, with the winner to be revealed in Paris on December 3. Ronaldo was rested from Portugal's last four internationals as they became the first team to qualify for the Nations League finals. During the international break Ronaldo took a short break in London, amid reports he had got engaged to his Spanish girlfriend Georgina Rodriguez, before returning to train in Turin. "All I can tell you is that when I got back I saw Cristiano training the way he does every day, as a professional and giving hs all," Juventus teammate Mattia De Sciglio told Sky Sports Italia. Juventus host SPAL -- four points above the drop zone -- looking to maintain their six-point lead over Napoli, who host bottom club Chievo. The Turin giants then host Valencia in a crucial Champions League match on Tuesday after a dramatic loss to Manchester United. Massimiliano Allegri can count on Paulo Dybala, back after scoring his first goal for Argentina, Portuguese defender Joao Cancelo and Polish goalkeeper Wojciech Szczesny. But German midfielder Emre Can is still on the mend after returning to Turin following thyroid surgery. "Matches straight after the international break are always trickier," said defender De Sciglio. "SPAL play good football and have caused problems for the big teams they've faced so far." SPAL were riding high after three wins in their first four games this season, but have won just one game since, shocking Roma 2-0 at the Stadio Olimpico. Napoli host Chievo, as injury-hit Inter Milan, a further three points back in third, host second-from-bottom Frosinone looking to keep pace with the top two. "It's a decisive moment for the season," said Napoli coach Carlo Ancelotti, whose side host Red Star Belgrade on Wednesday. "So far, things have gone well, but we need a further effort, we must be ready. "It's going to be a fundamental run of games coming up, as we must be ready in Serie A and the Champions League. Getting through that group would be really satisfying. "The Scudetto is a dream for us and it is not a utopia. Utopias are impossible, dreams can be realised." Napoli last won the Italian league title in 1990. Inter's seven-match winning run ended with a heavy 4-1 defeat at Atalanta last time out. And Luciano Spalletti's side need to secure maximum points with upcoming matches against Roma and Juventus. But they have injury problems in defence with Brazilian Dalbert and Croatian Sime Vrsaljko sidelined. "The loss again Atalanta was a heavy slap for us," said Ghanaian defender Kwadwo Asamoah. "We have to learn from it and give an important signal before the (Champions League) match against Tottenham." Lazio, in fourth, host AC Milan, just one point behind and playing without suspended Argentine forward Gonzalo Higuain, with sixth-placed Roma travelling to Udinese before their Champions League game against holders Real Madrid. Genoa and Sampdoria go head to head on Sunday night in the city's first derby since the bridge disaster last August that killed 43 people.